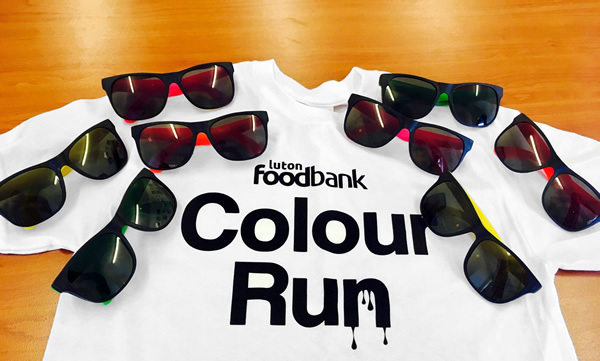 Today we took delivery of the Colour Run t-shirts. Note the cunning use of black and white, intended show up the colours more on the day. Each registered runner will receive one of these, so you don’t have to get your best running gear covered in coloured powder. If you haven’t registered yet, get yourself over to lutonfoodbank.org.uk/run before it’s too late. The countdown is done.